Chapter 2: What Is Blogging? You are here: Home / Free Ebooks / Chapter 2: What Is Blogging? What once began as a platform for sharing personal thoughts in online form has now grown into one of the essential and the most effective tools marketers use for online promotion. The way blogging has evolved over the past decade has blown everyone’s mind. During the last couple of years we have been witnessing thousands of blogs around the globe, both businesses, and personal, turning into very profitable activities. It’s safe to say, that blogging has become “big business”. Today’s blogging started with something called weblog. The term was created by Jorn Barger in 1997, and it was used to describe a personal weblog, an online journal or a diary. It was primarily used by journalists and writers as a way to express themselves. To understand this need to share one’s thoughts this way, you have to realize that this was the time without forums and social networks, the time before Twitter and Facebook. The term was shortened to blog by Peter Merholz in 1999, and this term is now used both as a noun (to describe an online platform that is used for blogging) and as a verb (to write or to have a blog). Having a blog in that period meant that you had the technical know-how to create and set up that blog. Optimization of that blog was not something people gave much thought, because search engine algorithms were just getting started to index the web, and had yet to learn how to interpret online content. The late 1990s were also the period when blogging started to take off. By 2004 blogging had become completely mainstream. This was largely fueled by the introduction of the well-known content management system called WordPress in 2003. WordPress is a free platform that makes blogging available to everyone. Even to people, who don’t have many technical skills. More and more people were starting a blog, and increasingly more were reading those blogs. This trend grew so rapidly over the next few years that we now have a new blog coming up each second. A blog is a website or a web page that is regularly updated with new content. Content is displayed as blog articles or posts, which are usually shown in reverse chronological order, so the newest are visible first. When blogging was still new in the online community, blogs were usually run by individuals or a small group. Apart from blogs run by individuals, today we also have joint blogging projects which gather multiple authors. Companies have recognized the importance of blogging as well, so many of them have been implementing blogging as a part of their website. Often companies either have employed a full-time blogger or a team of bloggers that are in charge of content creation and blog promotion. Most blogs allow visitors to leave their comments and to share blog posts on social media. This is what mainly differentiates blog posts from static website pages. It is also one of the reasons why blogging is considered a type of social networking platform. It enables connection with the author and his or her audience. Blog posts provide that social aspect, which is also why they are such an important asset in engaging online visitors. The blogosphere is the term coined to include all blogs and the way these blogs are interconnected. As blogging started to be adopted by the masses and the number of bloggers has gradually been increasing, bloggers began to see themselves as a part of a large community, which is how the term blogosphere was introduced in 2002. It is used to imply that all blogs are connected and comprise a community. This understanding of blogging being part of the blogosphere is another reason why blogging is considered a type of social network. Unlike website owners, which are usually focused on the interaction between owner and visitors, and only during the last couple of year have been thinking in terms of social media, blogging has had a social aspect from the beginning. Bloggers interact with each other, they share each other’s content, they comment, they even have blogrolls (the list of blogs they read and recommend). In general, blogging is more focused on the individual level and on these individuals becoming members of the blogosphere. It is essential to differentiate between a blog and a website as this is something most people find difficult to do. Perhaps the most confusing part is the fact, that both are used for publishing content. However, how this content is presented and the purpose it serves is what makes a distinction between the two. The first significant distinction between a blog and a website is the frequency of updates. Blog content is regularly updated, which means that the pages (also called “blog posts”) are more dynamic than website pages. Blog updates can be published at shorter or longer intervals. For example, new blog posts can be published once or twice a week, or even a couple of times during the day. This depends on the type of blog and the author(s). On the other hand, a website features static pages with content that can occasionally be altered, but it usually stays the same over an extended period. When it comes to engagement level, website pages hardly generate any engagement. Their main purpose is to provide information, to present a particular concept, etc. This communication is considered a one-to-many type of communication, which means that a page is designed to show the same content to all of the visitors. Blogs enable better connection between an author and the visitors. It does not matter if the interaction is done through subscribing to RSS, commenting on a blog post, or participating in a poll, the important thing is that blogs encourage this interaction and thus increase the engagement level. The benefits of engagement are numerous, starting from generating interest in your brand, to improving the credibility and online influence. Blogs are considered to be more search engine friendly due to several reasons. Search engines love new content, and they keep returning new pages to index when they notice that there is a pattern of frequent updates. Google confirms that 15% of searches have never been searched before, which means that new content updates are always welcome. Updated content enable search engines to extend their database and find genuinely relevant content to show in the search engine result pages. New content is most often provided to the search engines through the use of blogging. Blog topics are much more diverse and provide a range of topics that can be presented as organic traffic results. For example, when there is a search query “how to optimize a blog post,” it is more likely that there will be a blog post relevant to this query than a website. The concept of blogging also provides an opportunity to publish content which includes related phrases, synonyms, or to coin different phrases related to that topic. In all, this offers a tremendous potential to grow the amount of organic traffic your blog receives on topics that leverage the use of keywords and relevant phrases, that would attract the audience interested in your brand. Another reason for blogs being considered search engine friendly is the link building potential of their blog’s content. Content of high quality in a blog post is more likely to generate interest and links from other websites or blogs (also called “backlinks”) than static web pages. Additionally, blog content usually contains a significant number of links, both internal and external, which makes discovering and indexing new content by search engines through this page much easier. Types of blogs can range as much as types of topics can. 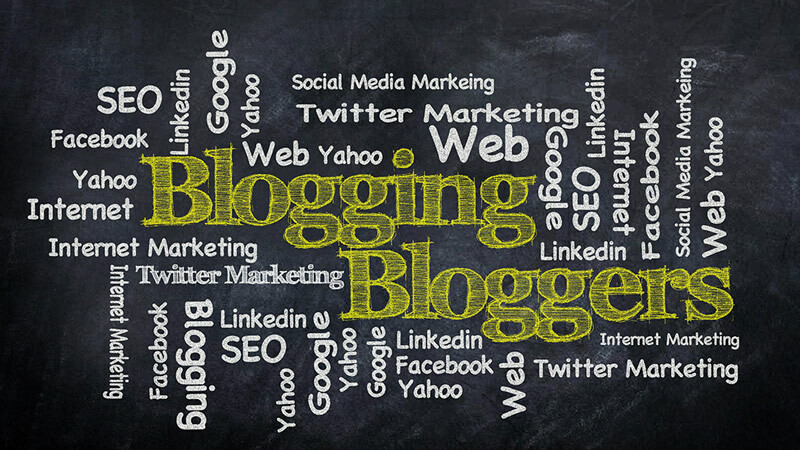 The entire concept of blogging evolved from the personal blogs created in the 1990s. This content format is still something that persists to this day as one of the most popular blogging types you can find. The idea with a personal blog is to share your experience and thoughts about a particular topic. Content is published by an individual, who may or may not be an expert on the topic but is certainly someone who has experience and opinions about it. A person could be earning money through this type of blogging, but this is not a general rule. For example, the person could approach blogging as a hobby. A type of a personal blog can be one about playing the guitar or running. Another example would be a parenting blog featuring insights of a parent raising his/her child. There are lots of travel blogs run by individuals. As you can see, topics can be quite diverse. Blogging for business has become a predominant type of blogs nowadays, and it includes two major concepts. The business blog could be run by an individual blogger who works for a company and promotes this company through a blog. The second option is for a company to run a business blog and then include multiple writers who contribute with content for that company’s blog. In this case, they represent a team of bloggers who blog for the company. A business blog is usually focused on a particular topic that is related to the company’s business strategy in some way. An example is a company that sells software to other companies and agencies. This company can create a blog about running a business, increasing sales, as well as how this particular software can be integrated into a business. The idea with niche blogging is to focus on a single topic. This approach gives an opportunity to specialize in a specific topic and attract highly targeted visitors. When creating a niche blog, it is essential to choose a topic you are passionate about. A topic, which you know a lot about and which is related to your business (if blogging is a part of a business strategy). 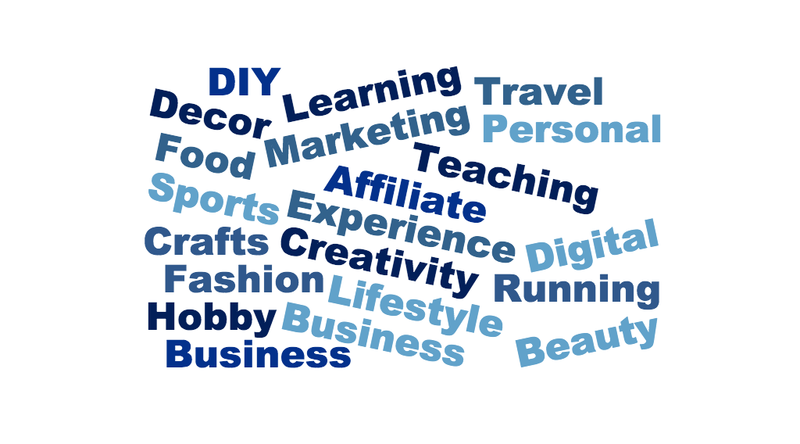 Examples of niche blogs are food blogs, parenting blogs, tech blogs, teacher’s blogs, beauty blogs, etc. Different monetization tactics can be a part of this type of blogging. The greatest advantage of niche blogging is tailored content to the specific target group with better conversion potential. With this type of blog, the owner focuses blogging activity on an affiliate marketing strategy. This means that the goal is to recommend products or services through affiliate links, encourage visitors to click on these links, and eventually buy the products. This enables the blogger to earn commission without having to own products or services to sell. Product reviews are typically shared on this type of blog, but other content types such as lists, how-to guides and tutorials can also feature affiliate links. To maximize the efficiency of an affiliate blog, it is recommended to create a niche affiliate blog. This means that you need to choose a topic to write about and then create an affiliate marketing strategy to combine with this blog and its topic. It is necessary to choose affiliate programs that include products related to the blog niche. One example could be a tennis blog, where you would promote gear for tennis players through affiliate links. Knowing what blogging is and being aware of the types of blogs out there is helpful to explore the potential of blogging in your situation. Regardless if this is a hobby for you or a career you want to focus on, blogging offers many opportunities to reach online users. Blogging has been evolving throughout the years, and it will continue to do so in the future. This means that it is possible to discover even new opportunities to promote and get promoted in the online world through blogs.